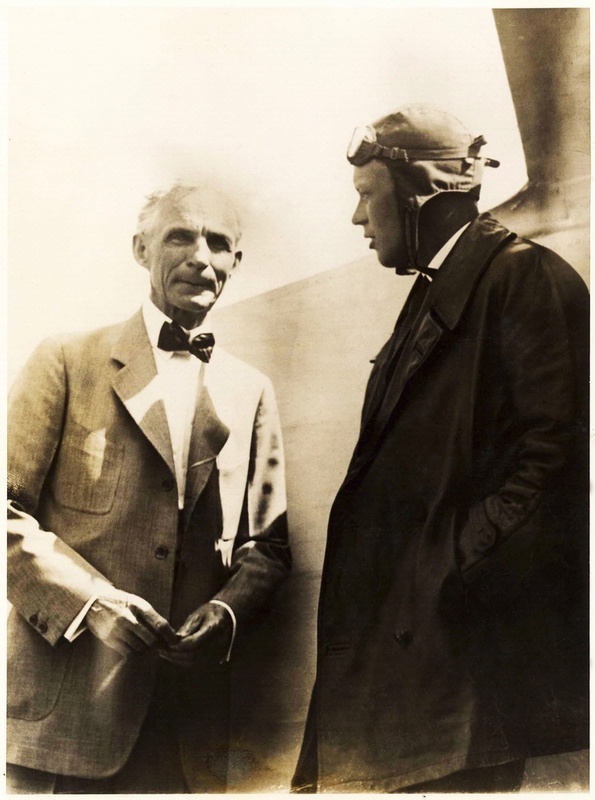 Lindbergh talks to Henry Ford at Ford Airport in Dearborn, Michigan. 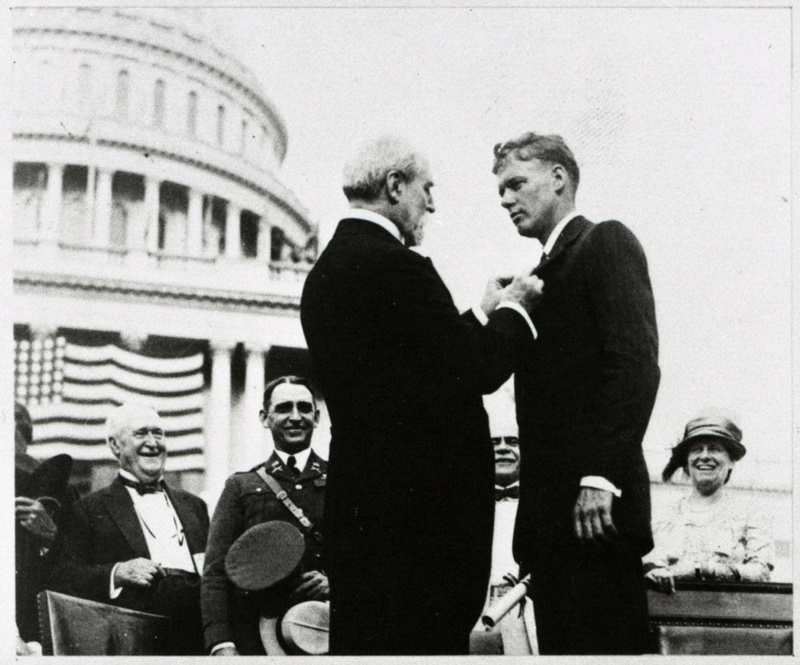 While in Dearborn, Lindbergh gave Ford his first airplane ride, in the Spirit of St. Louis. 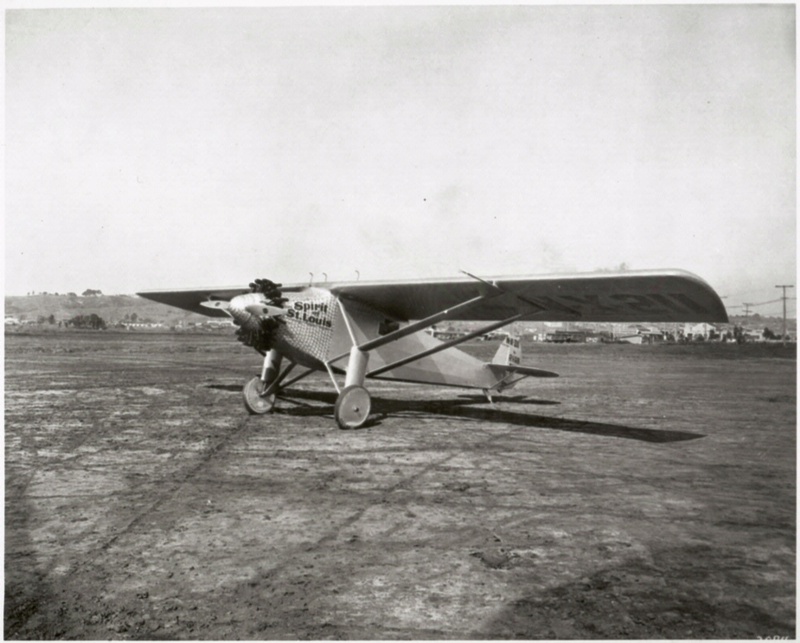 You would think someone who builds airplanes would have flown in one. 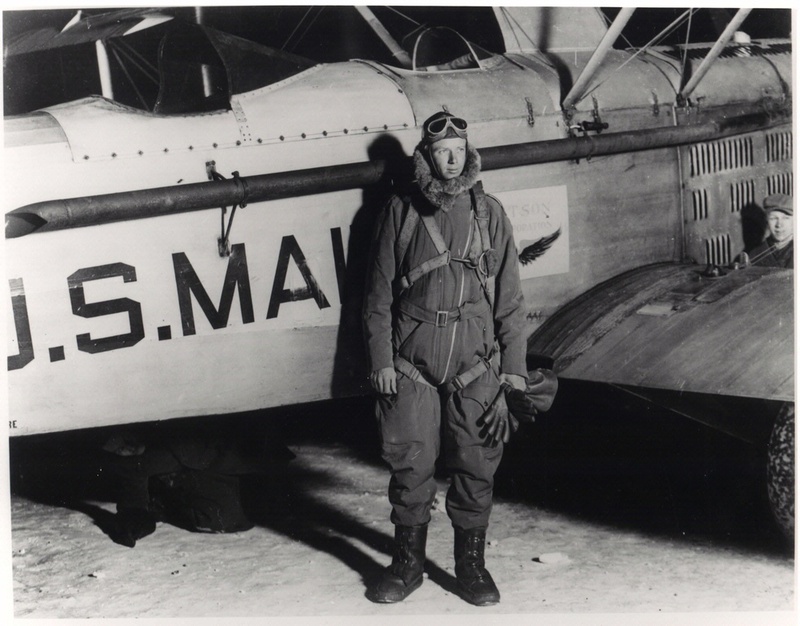 But famous car maker Henry Ford had never taken a ride in his own Ford Tri-Motor airliner or any other airplane. 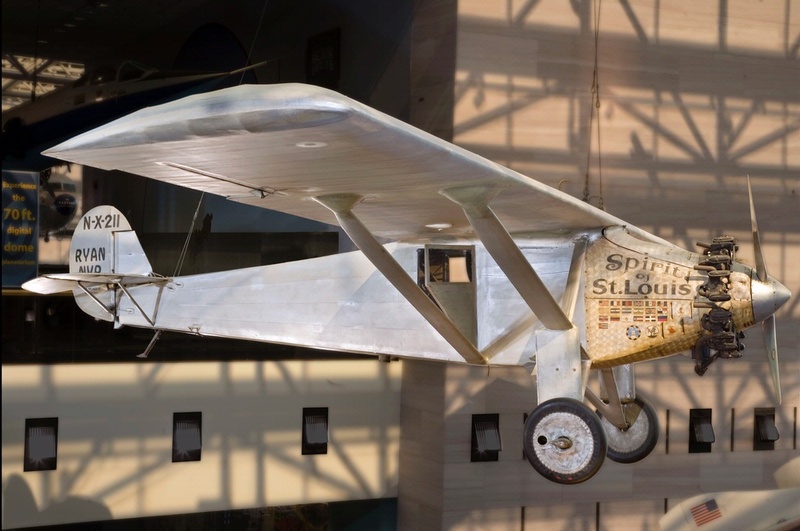 Offered a ride in the Spirit of St. Louis, Ford squeezed into the cockpit next to Lindbergh for his first flight.